White sandy beaches, warm turquoise water, hot sunny days, and swaying palm trees are some of the things that come to mind when thinking of the Maldives. While this would be reason enough to visit this astounding tropical paradise, scuba divers are generally more motivated by what lies beneath the surface than what can be explored above it. 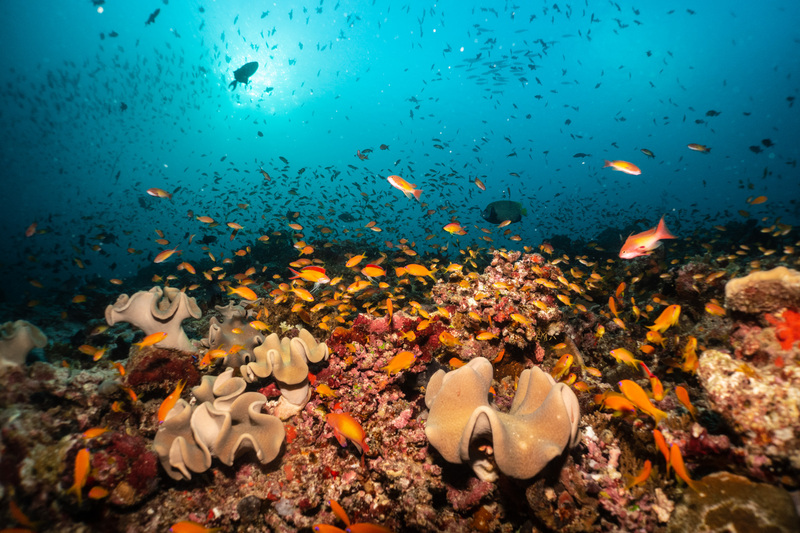 The Maldives boasts the seventh largest coral reef ecosystem in the world as well as rich mangroves. It covers an area of 21 300km² and constitutes 3.14% of the world’s coral reefs. As such, conservation of these ecosystems is a top priority for the country and there are 42 marine areas that are protected by Maldivian law. 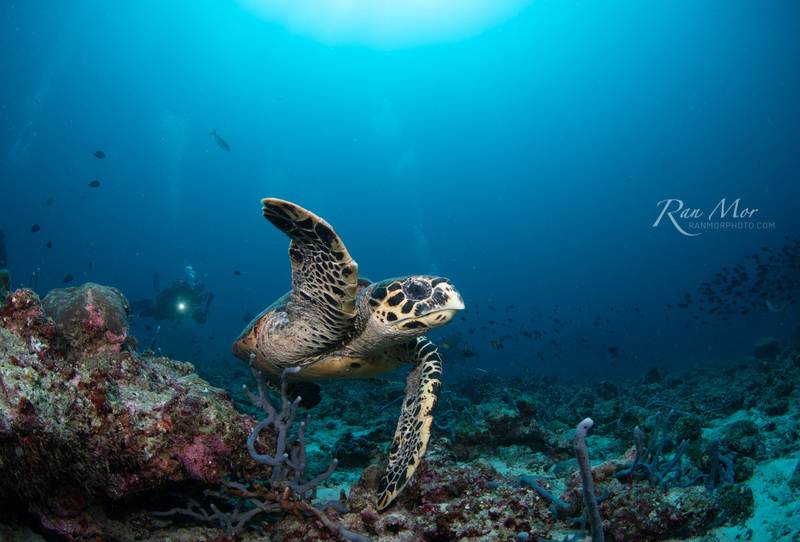 Here you can see healthy reefs teeming with life as well as endangered species like green turtles and hawksbill turtles. 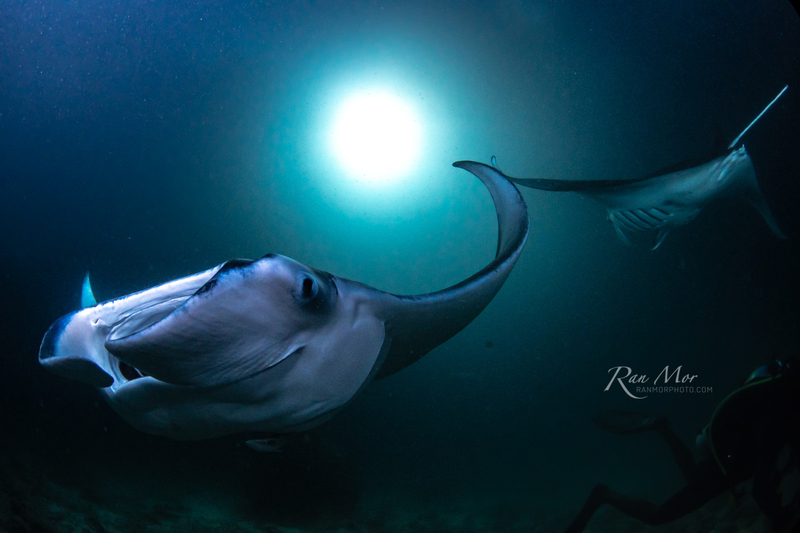 Manta rays are so prolific in this biodiversity haven that you are almost guaranteed to see at least one of these gentle giants. Cleaning stations are sites in the ocean where bigger fish like sharks and mantas go to get their skin, teeth, and gills cleaned by cleaner wrasse, parasitic copepods and other crustaceans. There are many of these stations in the Maldives and mantas have even been observed to wait in line for their turn. Kneel on the sand and watch these beautiful fish come and go from the beauty salon. Only found in tropical and subtropical waters, these atolls are giant rings of coral that have been formed around a small island. The Maldives boasts 22 atolls in total and the atolls themselves play host to many marine species, including parrotfish, clownfish, wrasse, angelfish, triggerfish, and turtles. As a country that places such a strong emphasis on conservation, their laws naturally protect sharks too. 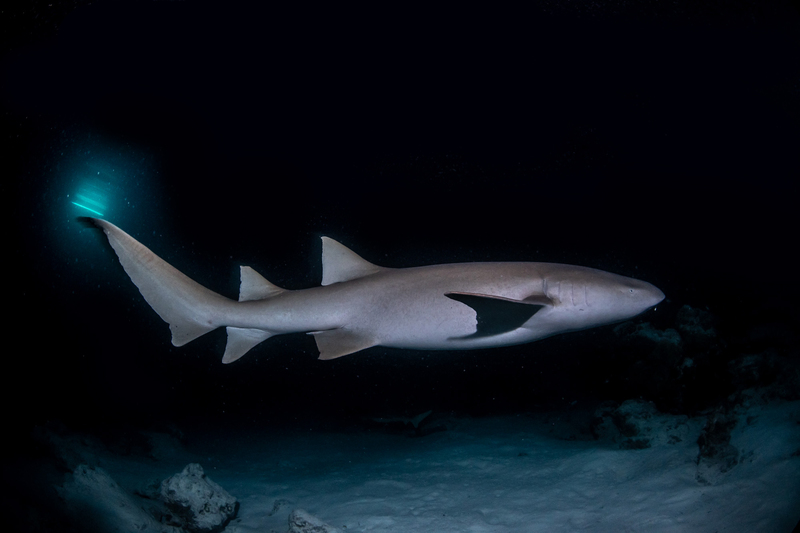 There is a ban on shark fishing as well as a total ban on all exports, making the Maldivian waters a shark sanctuary. As a result, there are 26 shark species that thrive here, with ever-increasing population numbers. Expect to see hammerheads, tiger sharks, oceanic whitetips, nurse sharks, grey reef sharks, blacktip and whitetip reef sharks among others. 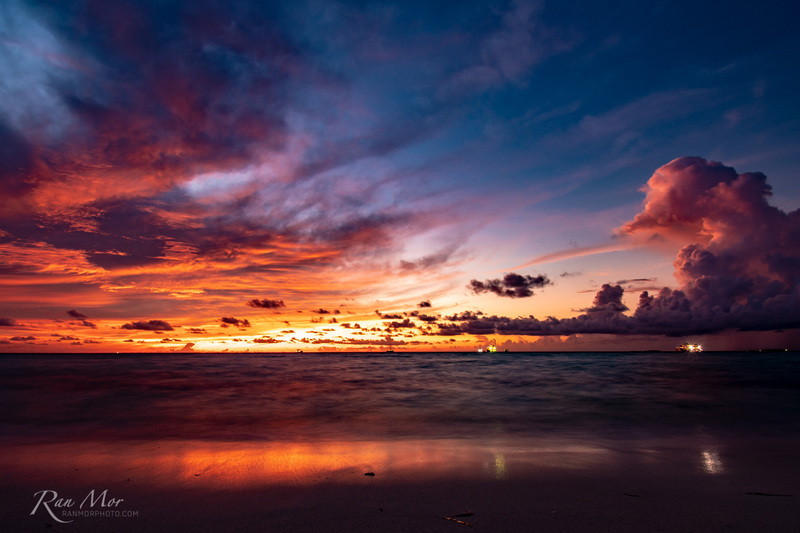 This marine environment is equally breathtaking at night as it is during the day. Night dives are a regular occurrence here, which gives divers the opportunity to view the aquatic life that comes alive at night. You can see corals reach for meals with their appendages as well as nocturnal marine animals like nurse sharks or zebra sharks. It is said that the average diver will see more big fish while diving in the Maldives than during their entire diving career. These warm tropical waters allow whale sharks to come feed and grow without predators and they can be seen in equal numbers all year round! The Maldives Whale Shark Research Programm (MWSRP) focuses on whale shark research and conservation in this area. They have identified 298 whale sharks since 2006. Be sure to remember unique markings when you do encounter a whale shark while scuba diving in the Maldives. After your dive, you can use the MWSRP app to identify the whale shark and learn its name! Of the 1200 islands in the Maldives, only about 200 of these are inhabited. Most of these islands have been untouched by humans for many years, if at all. This adds to the overall allure of unspoiled nature and pristine ecosystems. 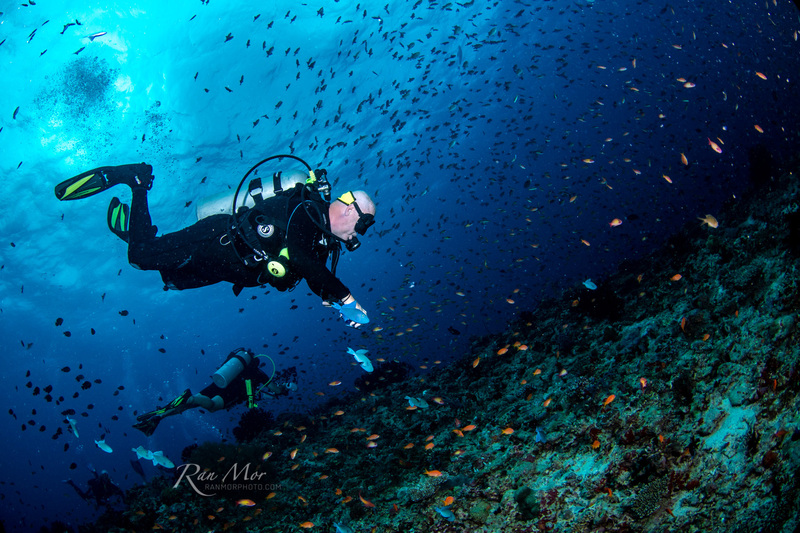 Because there are so many islands, divers are encouraged to explore the Maldives by liveaboard rather than resort. This way you get to take in as much of the natural beauty and see as many islands as possible. Are you convinced to drop everything and go scuba diving in the Maldives yet? Before you do… Consider planning by letting someone else do the planning for you! 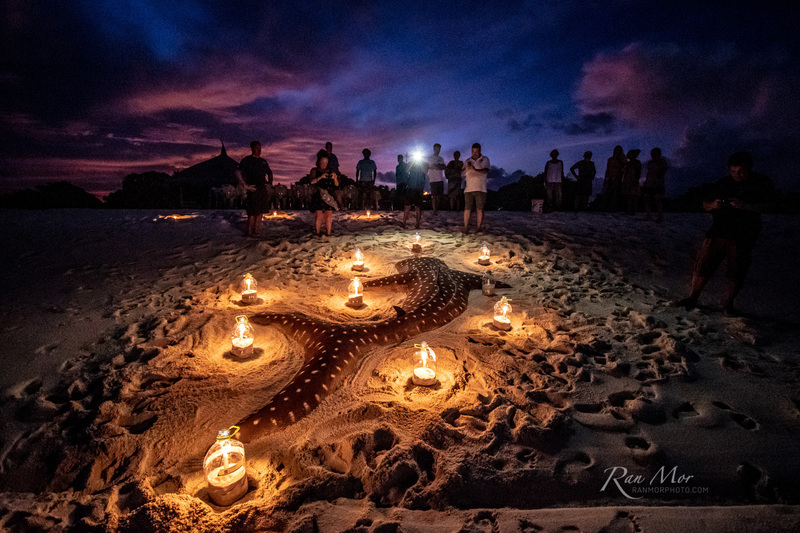 We’re thrilled to be hosting a luxurious liveaboard trip to the Maldives in January 2020. 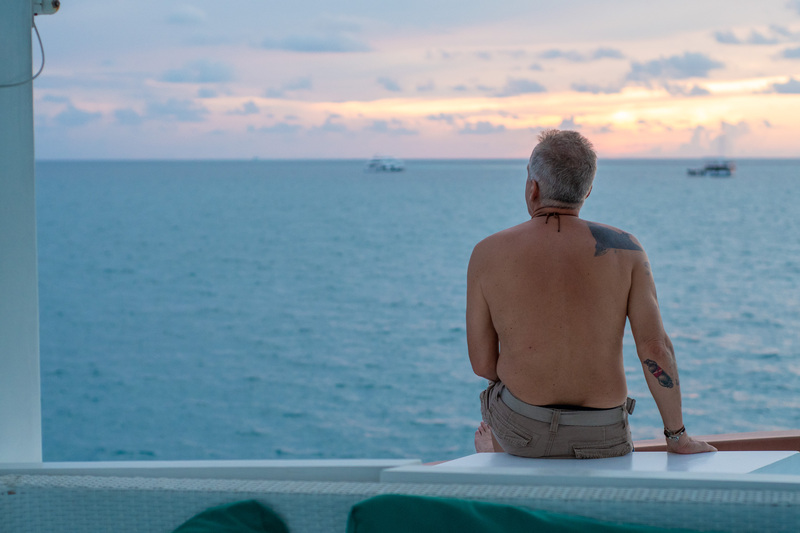 The spectacular diving we did during our last trip to this dazzling destination taught us that all you really want to do while in the Maldives is live underwater – and a liveaboard is the closest thing to that. Find out more about the trip and reserve an early bird spot!